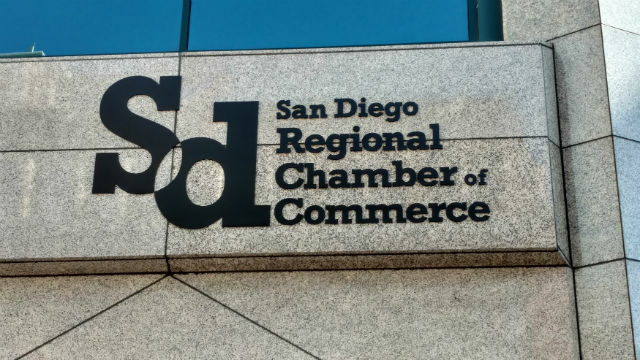 San Diego and Baja California business and government leaders celebrated the cross-border economy Thursday while acknowledging unease in the wake Donald Trump’s election. Marcela Celorio Mancera, the consul general of Mexico in San Diego, said the two countries share the values of democracy, freedom and human rights, and must follow them in the aftermath of the Presidential election. Over 200 business, government and community leaders from both sides of the border attended the International Tribute Dinner at the Hilton San Diego Bayfront, and officials said the turnout was higher than expected. Mexico’s former United Nations Ambassador, Enrique Berruga Filloy, told the gathering that he worried the emotions unleashed during the Presidential campaign would set back bi-national relations for decades. “Unfortunately, most of the things that were said about Mexico were not pleasant,” he said, adding that he sees a wave of anti-Americanism arising in Mexico. Trump called for renegotiation North American Free Trade Agreement during the campaign, and Berruga said some changes may be necessary, but noted that the trade agreement has made North America the most competitive economic region of the world. He said he is surprised that so many Americans seemingly want to go back to an earlier economic time after the United States led the world toward globalization. ‘We can label it as Mr. Turmp, but it’s much more profound. And it’s not only the U.S.,” Berruga-Filloy said. Antonio Ortiz-Mena, former head of economic affairs at the Mexican Embassy in Washington, said San Diego and Baja businesses need to tell their story about the benefits of NAFTA.